Russian and Ukrainian assets of Poroshenko-owned corporation may be sold separately. The Lipetsk confectionary, a part of the Roshen Corporation can be sold within the next few months, says Makar Pasenyuk, the managing director of the ICU investment group, one of the financial advisors for the sale of the corporation. "At the moment we see some progress in the negotiations for the sale of Roshen assets in Russia so the transaction hopefully to be completed in the next few months. Unfortunately there are many uncertainties in the future," Pasenyuk assured in a release for the Organized Crime and Corruption Reporting Project (OCCRP). The economic and political situation in Ukraine over the past 18 months have been complicated, he observed, which narrowed the possibilities to sell Roshen Group. In this regard, financial advisors have offered various options to accelerate the sale of Roshen Corporation, including selling of Russian and Ukrainian assets separately. Eventually, the client decided to transfer its stake in the corporation into an independent blind trust in order to distance himself from the business in a way understandable to the Western community. 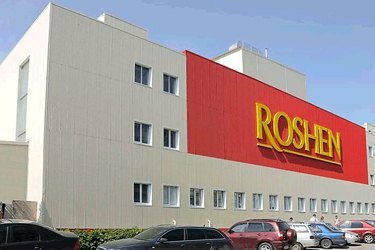 In January, the Roshen Corporation put up Russia-based Lipetsk confectionery for sale, Roshen CEO and minority shareholder Vyacheslav Moskalevskyy said earlier.